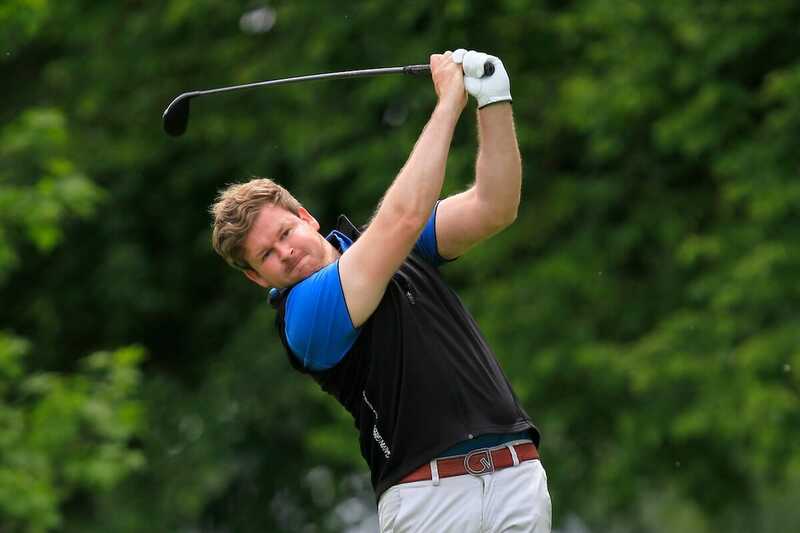 Paul O’Hara (North Lanarkshire Leisure) took the spoils in the Titleist & Footjoy PGA Championships at Luttrellstown Castle Golf Club. In very difficult and windy conditions O’Hara blew the rest of the field away as he led from the front and went on a birdie blitz from the 7th with five birdies in six holes to clinch victory by one stroke from Christopher Currie (Caldwell Golf Club). “As for today, I played well after a bad start and the birdies won it for me,” he added. Irish hopes were more or less dashed in horrendous conditions when Brendan McGovern (Headfort) carded an 81 in the third round on Thursday which took him out of contention and his final round 75 left him eight shots off the pace and he finished T8 on +3..
Cian McNamara (Monkstown) was the best placed Irish finisher, returning a superb three under in the last round to jump to T6 on +2 while Jimmy Bolger (Kilkenny) shot -1 today for a T10 final result alongside David Higgins (Waterville).